With finals fast approaching, considering attending Sports and Fitness' next health workshop, "Ten Tips for Terrific Test Taking" from noon to 1 p.m. Nov. 20 in N602. 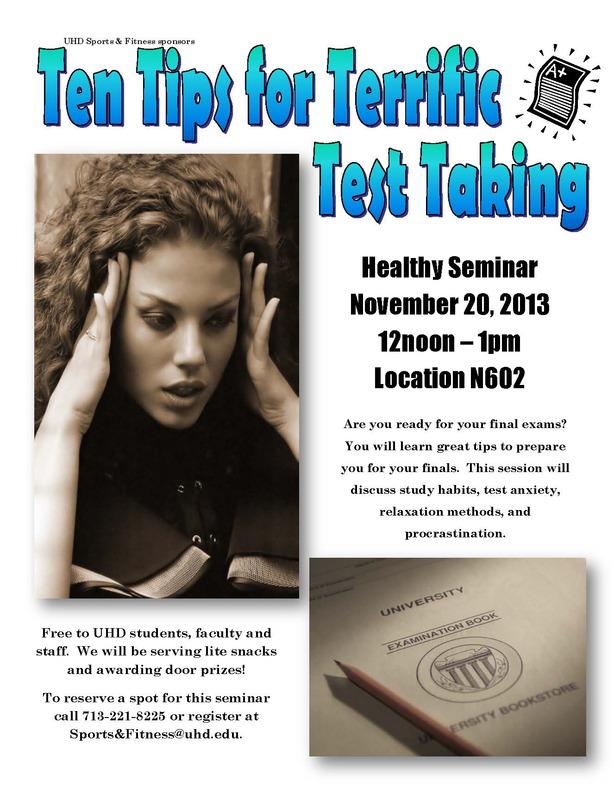 The workshop will cover test anxiety, relaxation tips, procrastination and more. Door prizes and free snacks will be available to attendees. Register today!